I’ve had the privilege to work with some wonderful animals over the years, and many have become very close friends. As close as any two humans could be. And I wouldn’t trade these friendships for anything in the world because most of these animals have led me to places I didn’t know existed. When I was told “yes, you are making connections with animals and they understand you too.” I was over-the-moon excited. At the time I had no idea of the journey it would send me on. One thing always leads to another if we keep an open mind. And I’m so grateful I have because it’s so much more than talking with animals. It’s talking with spirit. And communication with all of life, not just animals. There was the sad Christmas tree who told me its story. The last time I picked up a live tree which had been designated for our “enjoyment” that season, was anything but. The tree showed me in pictures the happy life it had been living high atop one the sloping hills that gate our coastal area from the mountains. I saw clearly what that tree saw: other trees, lots of wildlife (especially birds) and the way they all beamed in the setting sun at the end of another day. It was peaceful, beautiful. The tree showed me all that, and then ended with “and then the big noise came“. The tree was upset as it was lying down in my car, it was confused about where it was going, and most of all, it missed the simple life it had just been living. I announced upon bringing it in that night that this would be the last of the live Christmas trees. It was all too sad for me. And now my husband says about the one that lives in a box and looks like a tree “yeah, we can’t have live ones anymore, they talk to Lisa.” Twenty years ago my husband wouldn’t have made this comment, because then all his friends would think his wife was nuts. The other day a friend was trying to convey to me a story. I wasn’t really understanding the problem. I kept circling back to the original comment and asking why did she do this? Or why didn’t she do that? The point was – she left out a very important piece of the story. One that was rather essential to understanding the story in the first place. Had she simply added a few more details in setting up the story, I don’t think we would have gone around in circles for about 30 minutes, with me peppering her with questions about the original incident. Lost? You should be, because I am and I was there. And the Christmas tree. Did you know your live tree that’s now dead and sitting out back had a life before you had it into your home? I came back to this blog with a lot of enthusiasm for change and to incorporate my website with my blog. I have outdated info on my website with the same old tired stories. So I started to build, add new categories, and new sections, without truly explaining what I’m attempting to do here. And there is a very large missing piece that I’ve yet to outline, unless you picked up on in my story about Justin. My ability to talk with animals and help them through their issues has taken me into a whole new place. I’m now working with humans who have walked through the veil, and helping their loved ones to heal. It’s very different than working with animals, even animals in spirit. But I’m taking the next step in this journey and hope to help many to heal. It seems that this is my path, and that this is the missing piece of the story that I’ve started outlining with all these new tabs and titles. But stay tuned. I’ve decided to stop with the workings of this blog and simply write for awhile. The other pages will fill in soon. But for now, I think I need to keep writing and sharing the stories of how all this has come about. There. That’s the piece of the story I left out way back in the beginning of January. Now that I’ve started in the “middle”, we’ll see where it goes from here. I’m not sure when this song from The Sound of Music became associated with Christmas, but apparently it has. So I thought I’d post some of my favorite things. And surprise! They all have to do with nature. 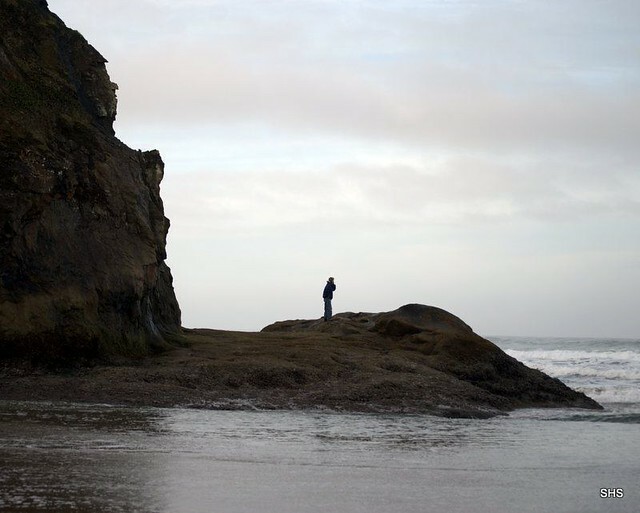 When I was growing up, my grandfather instilled in us a healthy respect for the ocean. But this has only made me love the winter storms more. I love being as close to the most powerful continual force on the planet, especially when she’s “wild”. I love the summer ocean, but nothing compares to our winter storms and having a front row seat. I have learned how to stay safe, thanks to my grandfather, when to run and how far. 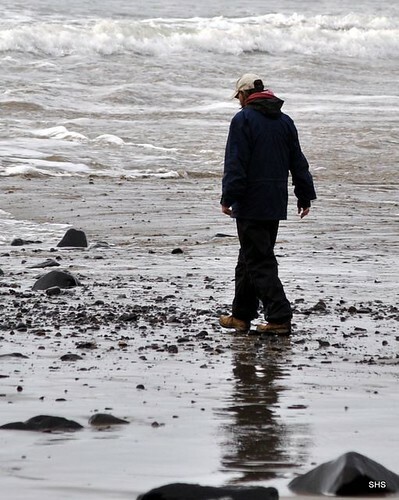 And it brings especially this time of year, a great opportunity for beach combing. Agates! Over the past several years, I’ve learned the difference between a “rock” and an “agate”. There is some kind of deep-seeded thrill of finding agates. They are not plentiful. In fact the past two winters Mother Nature has chosen to push loads of sand over our hunting grounds. 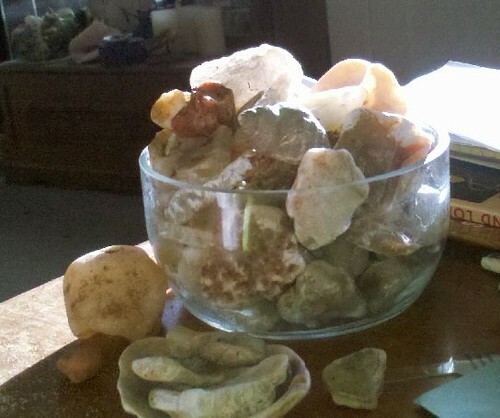 This bowl of agates is a few years old, but I found them all in one outing. My jacket weighed about 15 pounds, and I briefly lost my dog. 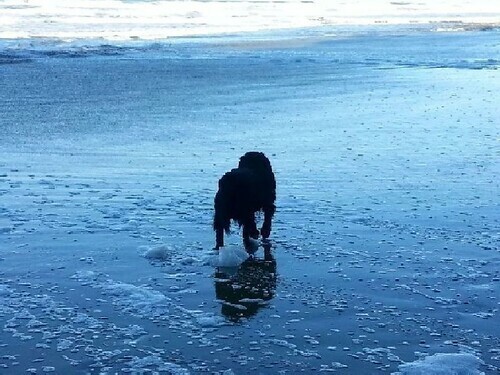 I was too busy looking for agates, so Zeke opted to take another walk on his own. 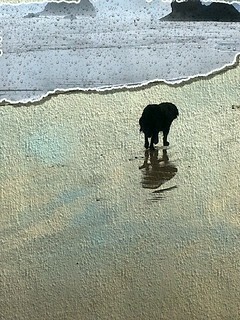 I found him playing gleefully in the surf. But needless to say, once we were home, dry, and I had cleaned out my pockets, I was thrilled. They are elusive and when learning you bring home a lot of simple rocks, but once you’ve learned (and there is always more to learn) they can be a true delight that fills you with the love of nature. 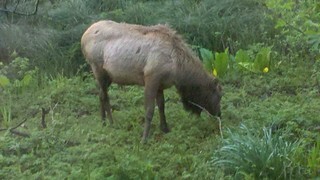 The Elk! We have our own herd of elk here in our small community. They travel through town and we are lucky enough to have them come close to the house. Some mornings I come out for my coffee and find myself starring into the loving eyes of an elk. They have a lovely hierarchy that we can watch from inside our home. There is the “bull” or “alpha” elk who steps to the head of the path. He looks around for any danger, and then one by one, the ladies and their offspring pass by him, single file, as they make their way to the beach. 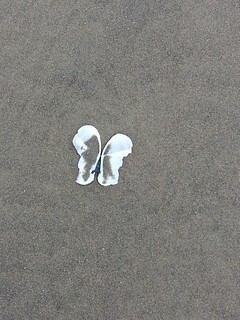 Even though it is out in the open, they feel secure and safe on the beach. They also enjoy grazing on the beach grass that grows wild between the top of the path to the beach, and the beach. So it’s not uncommon to see them grazing in the dunes. Then they return to the woods, the “alpha” once again bringing up the rear after checking for danger. If a car should come by, they race into the forest and this isn’t quiet by any stretch of the imagination. They are loud as they thunder their way back down the trail they travel. It’s frustrating that many of our neighbors have deemed the elk “pests” and do everything they can to chase them from their flower gardens. It seems they’ve forgotten: the elk were here first and we should respect them, rather than scare them. My husband and I openly welcome them (much to the frustration of our neighbors) and one morning we heard the sounds of breathing and munching through our bedroom window. We didn’t pull back the blind so as not to frighten her, but felt honored to hear an elk so close to our bed. Nature is amazing if we simply allow it to be. Swimming with Wild Dolphins! 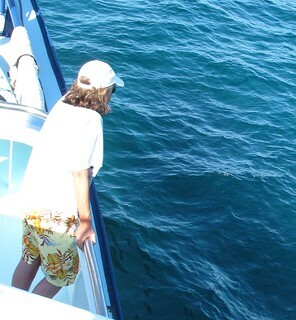 I have been truly blessed in that I have twice been to the Bahamas to swim with wild dolphins. 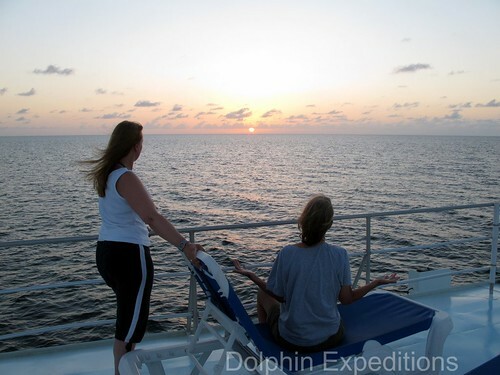 I have gone on the adventure both times with Dolphin Expeditions, and it has literally changed my life. The dolphins have a way of implanting love into your heart space that I struggle to put into words. And I’m not exaggerating here. I have watched the saddest souls come alive with glee after an encounter with these amazing beings. I have felt their love myself long after I’ve returned home. In fact, when I need them, I simply close my eyes and they are here with me, tenderly loving me back to where I need to be. The dolphins simply put:are not of this world. It’s possible to view them at Seaworld or other places of entrapment designed for us to “learn” about wildlife. But the truth is, you simply can’t appreciate these souls until you swim free in the water with them. They love to play, they love to explore you, and when surrounded by many of them, its a feeling I’ve never experienced before. I will return one day, but that day is a long time from today. It doesn’t matter though because I know that they are here with me, in spirit, and all I have to do is quiet my mind and call them to me. My Husband isn’t well. He has cancer and has been handed an expiration date. I think he’ll pass that day, but he isn’t physically the man I married. He frequently has little energy which frustrates him because he can’t do all the things he wants to do. But he tries. I’ve never known a human with so many limitations that works as hard as he does to overcome them. I have never met anyone who is as giving and loving as he is. And I’m truly grateful he’s in my life. My “job” during this final stage of his life is to try and make things as comfortable as I can for him. I can’t change what is, but I can choose an attitude towards the disease and his daily life. And I’ve chosen to help him along, help with the little things that have become big things, and love him each day. We have always loved Christmas. We have always acted like two little kids on Christmas morning and this year will be no different. But I have learned a great lesson through our journey. And that is when life becomes bigger than we can handle, we must reach out to those who can help. His medication is ridiculously expensive and there is no way we could afford it alone. So, after a lot of thought, I agreed to let the community help. And boy did they help! A fund was set up in his name and the donations poured in. I no longer have the stress and worry over paying this insane price for a life saving medication each month. I’m humbled by the offerings, I’m so very grateful for the little things, and I know that this part of the hardest thing either one of us has ever done – has been relieved by our community. A huge thank you once again to all who have stepped forward to help. It is the end of 2013. I live in a beautiful area where nature and animals are bountiful. I have a gift that helps others in a way that few can. I have a loving family, a loving husband, and a small group of very close friends. I also have many many animals who help me to find joy in everyday. I hope for all who read this that you too, can find gratitude and joy. For even in the darkest of nights, there are many bright stars that shine in the sky. It may be hard to see them if there are clouds or fog, but knowing that these stars are there, that the animals are there, well, these are absolutely my favorite things. Recently I was asked about what will happen with animals, domesticated and wild as the planetary shift is completing. It’s a great question. The planetary shift is also known as the “End of the Mayan Calendar”, “The Ascension”, and “Moving into the 5D”. If this is unfamiliar, you can read about it on Spirit Library, or visit two of my favorite lightworkers who have been keeping us updated regularly. They are Lauren Gorgo and Aluna Joy. “What has been happening is we are sending animals (domesticated) in with the new energies. These animals will continue to teach humans. Animals born within the past two years are very different. They can handle this new energy which is changing all the time. The animals who have left suddenly for spirit could not, or it was not their agreement when they came to the earth. Many animals have been called home to help humans on the earth who are trying so hard to make this planet a better place for humans, animals, and all who live in nature. And by nature, I mean the trees, the rivers, the rocks, and of course the animals. Wild animals are “there” already. They live in the new world of love and happiness. They already have joy in their hearts and souls. They have lived in this place a long time. They know that the planet is shrinking for them – but they continue to try and work with humans so there is more space for them to live freely. Nature is so important. And the wild animals are helping. The whales talk to many humans about the sea: they are teachers. They are the memory keepers. They are trying to get the attention of ALL humans on how they must change, yet the whales and dolphins live in joy and peace when in their pods deep below the sea. The big animals (elephants) who walk the planet also talk to humans. Many more wild animals are trying to talk with humans about the earth. Animals and humans together are rebuilding the way humans think about nature. Wild animals need their place. It’s not perfect (yet) but more and more humans are realizing we must continue to leave a place for the animals. Perhaps you aren’t aware of these changing times. It literally means shedding old ways of thinking of our lives and living in a more harmonious way within ourselves. Much easier said than done. But if you read about the journeys of millions of others who have been very busy keeping us informed, and working themselves to prepare for a new world, perhaps you’ll find that you too have been working on moving into the “5D”. Whether you know it or not. This evening I saw the most beautiful sunset. Living on the coast, I see many stunners, but this was one for the memory banks. A bright deep-pink, red strip sat over the light blue ocean after the sun had gone down. It was one of those little things that I will remember and savor. We are not unlike most Americans in that we’re struggling a bit to keep our financial heads above water. I can say this knowing we’re not alone. But if we work hard towards the goals that are fixed in our hearts, there are many little occurrences that remind us to be grateful for all we have. And I’m not talking about material things, I’m talking about things that make us smile for no reason. Simple things that happen everyday that bring us joy and make us laugh. Meet Jack. If you’d told me that after Breeze had walked through the veil I was going to get a kitten? I would have shaken my head no. No way. 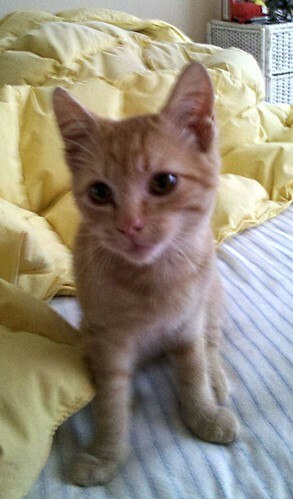 Nothing could persuade me to bring a new kitten into our home. But that’s exactly what we did. Soon after we Breeze left her body, I heard from her while swimming in the pool. I often get unsolicited messages when I’m swimming because it’s a good time to keep my thoughts still. Her message was short and clear. I needed to bring a new kitty home to cheer Eddy. While the first part of this has proven to be a great idea, the second part, has taken some time to adjust. After all, Eddy lived with her mama her entire life. But Jack is special. Very special. He’s smart, he’s precocious, he’s patient with Eddy, and he’s exactly what we need right now. Not only that, but he’s already shown he will be invaluable in my work. Today I was working with a kitty who is in spirit. She belongs to a longtime client and there were many questions about her return. My client is anxious for her to come back to her again and also what to look for. This CAN be done. Our animals come back to us. And there was a part of me that hoped Jack would either be Bart or Breeze. But he’s not. He’s Jack. A totally new soul for me. He’s a pretty busy boy. But he also harbors something special. Because as I talked with this kitty in spirit today, (one of three my client wanted me to talk with) Jack jumped into my lap and announced he KNEW this kitty. I was a little surprised as I’ve never met this client nor her kitties. And in his four months here in a body, I know he hasn’t either. I work with animals telepathically, so they can be anywhere doing anything when we chat. In a body roaming the planet, or in spirit. But Jack certainly knew her and would not leave my lap until I was done talking with her. At 4 months, he’s not learned the tools yet in which to help me with my readings in a constructive way. But he did know this kitty and was not afraid to say so. And the kitty acknowledged that she knew him too. I’m grateful that he isn’t Breeze or Bart. As much as I anxiously await their return, I also realize that Jack is bringing a whole new level to my work. He’s going to add and teach both me and my clients. Just having him around everyday will bring a lot more knowledge into the work I do with animals. I have many photos and stories about Jack that I’ll be sharing in the future. But tonight is about how we very often forget to thank the Universe (or whoever you thank) for very simple pleasures. How many things in your day do you take for granted that bring a smile? Do you remember to be grateful when your dog practically knocks you over because you have come home from work? Are you grateful for the sun that peaks or shines everyday during these short days? Are you grateful for the person who sleeps next to you at night and shares a laugh with you? Are you grateful for the pile of animals in your bed? All these little things are here for the taking. They’re free and they’re wonderful. Because all we have is right now. Not what happened last week, not what tomorrow may bring, but right now. This moment. The glorious life you’ve created for yourself. If you aren’t practicing the Fine Art of Recognizing Joy on a daily basis? Then you’re living in your head and not in your heart. This is what these new times are teaching us. We must learn to live from our hearts and forget all the things that make us nuts. Those things are created by us, in our heads and are easily forgotten with a little practice. Even during our hardest days, we can find and fill ourselves with love and gratitude. In order to make a better world, we all must live in gratitude and joy daily. And it will take some practice since our lives have become so stressful and busy. But we need to return to a world where we live in our hearts. Try it. Master it. Pass it on. So – kick your shoes off, enjoy a good book, meal, or a movie tonight – something that will make you smile. Or you can simply sit under the stars and be grateful you’re living in these times that have the potential of learning these lessons. Me? I’m going to wake Jack who has slept on my lap this entire time – and find his mousie! Don’t forget, I’m running a special for the month of December. Go to my website where you can find out how to get a hold or me! Thanks to all who have participated! I can’t believe that it’s been four years. 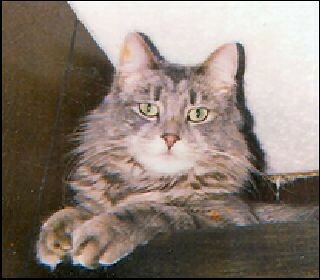 Seems like yesterday that I had to say good-bye to my best friend Bart. He taught me so much. He loved me so much. I loved him very much. 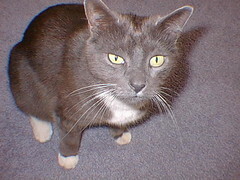 But yes, four years ago tomorrow I said my final good-bye to my much beloved cat. If you’d like to read the tribute I wrote for him, please go here. A lot has happened in four years. Not just in our household, but in the Universe. So many changes that people are either very aware of, or not aware of at all. But it has affected each of us and our animal friends. And those who live behind the veil have a much better view on these things are and how they’re affecting us all. So for this reason alone, Bart is very helpful to me. Most of my clients know that Bart helps out with our sessions and greets all those I ask him to as they make their transitions. This morning I sat in meditation and let Bart’s energy in. I spent some time with him and rather than our usual talk, Bart had a message for all humans. The animals want to talk. They have messages for us all, and they want to share them. And this got me to thinking. With the economy in rough shape, people who really want to hear from their animals can’t afford it. It feels like a luxury when it should be something we all have access to. So I came up with an idea. From now until the end of the month, I will be offering a special for readings from your animal friends. They can be in body or in spirit. But if you’re curious as to what your animal wants to tell you, please write me. Tell me your story and what you’d like to know. Bart helps me with all my animals in spirit, but they don’t have to be. I hope you enjoy and take advantage of our gift to you. This will only last through the end of December and my calendar is filling up. If you’d like to pass it on as a gift to a friend this can be arranged too. This is for you, it’s all in what you want. Remember, this is a time when the animals want to share their message. I will be lowering my regular regular rate, please write me for details. Bart, I miss you my dear friend. You know that and you are giving me yet another gift to pass on to humans. Thank you, thank you. Take advantage of our offer. Listen to your animal friends whether they be in body or spirit. You can learn a lot about yourself or your animal friend. The offer has no limitations. Just that you take advantage of it. My trip to Bimini this summer was beyond amazing. Since we find ourselves in a time warp (for lack of a better term) it seems to me like I was there yesterday. This is due to the planetary shift. Time for many of us doesn’t feel linear. So my memories of this fantastic adventure seem like they happened yesterday. I often find myself there again, recalling moments of amazement, laughter, and warmth. My favorite time of the day is sunrise. I wake often just before the light dawns a new day and enjoy the last moments of darkness turning to light. The other morning I sat on my deck under a half moon and watched it until the sunrise made it was too bright to see. But one thing I had never experienced was a sunrise out of the ocean. It was on my bucket list. The first morning we were out at sea, I awoke just before dawn and scrambled up to the top deck of the boat, awaiting my first sunrise – which kinda felt like a sunset in reverse. Growing up on the Oregon coast, I’ve seen many sunsets, but this was nature’s beauty on a whole new level. This would become a morning tradition for the whole boat. 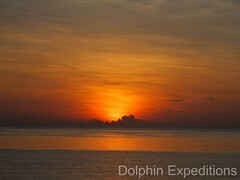 This was one of the many spectacular sunrises we experienced each morning. I was thrilled the first morning when a flying fish, jumped quietly out of the water and straight towards me, in the golden light that shown across the ocean. Before I left for Bimini, I was told by a wise woman here that this trip to would be a “transformational trip” for me. And in so many ways, she was right. I learned more about communicating with humans on the other side of the veil, my animal communication has become more detailed, and I find that I now get information as my clients are asking their questions. As if information is coming to me all-at-once. There have been personal transformations too. I was surprised as my marriage almost crumbled, only to be turned into a place of happiness and contentment That’s transformation. On the second day, we put on our gear for the water and went in to play around. The dolphins weren’t around yet, but a little practice always helps. Much giggling ensued as we tried to acclimate to our snorkels in the water. I swam off to be alone for a bit, and was surprised when I heard the familiar voices of my Atlantean family. I recognized my mother’s voice and the voice of my Atlantean husband. They told me that they were thrilled I had returned and had much to tell me about what is currently happening on the planet. I’ll write more about this when I describe our day on the Bimini road. I was told by a wise woman that my trip to Bimini would be “transformational” for me. The weird thing was, I knew them and wasn’t freaked at all. 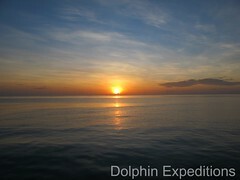 I recognized their voices, felt their love, and knew why I’m so drawn to the area around the Bahamas and the dolphins. In a previous life – I lived on the continent of Atlantis. This would be one of many times they’d speak to me. Always in the water and I totally understood what they were telling me. I’ve had many visions of myself with a tall man, walking along a stone road, in a very warm climate. On our left is the ocean. On our right a small village with a large temple in the center. I know now: this is Atlantis. Not all my experiences were this “jaw dropping”. There were mostly extended moments of joy, playing with the dolphins, and having a lot of fun with new friends. Each day was perfect in its own way. 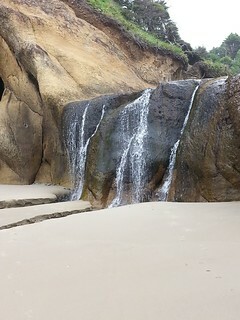 The weather could not have been nicer, the water was almost TOO warm, and every day brought new surprises for all of us. We spent an entire day with a dolphin family. A mama and her two youngsters were among them and were around me a lot of that day. (Part Two to come). We snorkeled a coral reef, something that was new to me. We enjoyed a full moon together. We even went out to the gulf stream and swam where the ocean floor was literally miles below us. It was all amazing and it’s all still here, etched forever in my memory. For when I can’t sleep, feel anxious, or bored – I take myself back to the Indigo and watch the sunrise on another day in paradise. This is my friend Easy. He got his name because of his temperament and his affection towards humans. A healer in a all black kitty body since Day One. He is almost canine like in his habits and attitudes. He won’t play fetch, but he’ll certainly greet you when you arrive at his home and make sure you feel as much love as he’d like from you. 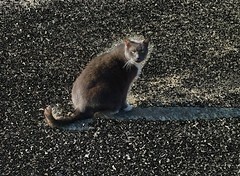 For a male kitty, he does little hunting preferring to wait until a bird happens by before nabbing it and presenting it to his human or even a guest as I often was. I first believed that Easy was the healer. 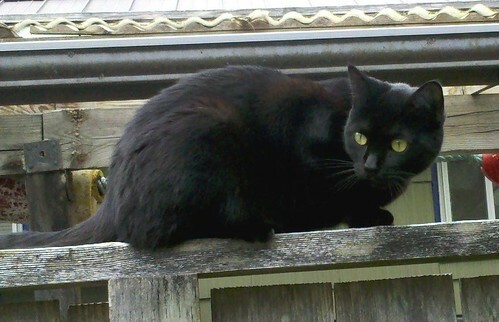 I even wrote about it when he came back as my friend’s kitty in spirit, Miss Maddie. I wrote about it here. But turns out, I was wrong, Easy and his litter mate Stella are both healers. Easy, Stella, and their mom moved yesterday for a new life adventure. They’re off for a different part of the state. Easy and Stella have new humans on which to do their magic. They were born at a time when many kitties came back to the planet to help us. We humans are so smart, we don’t realize we need a lot of help from animals while we complete the shift that has been slowly happening this past few years. Stella is an obvious member of the “OCC” or “Orange Cat Contingency” a terms coined by Penelope Smith, the woman who almost single-highhandedly brought animal communication to the public’s awareness. She certainly taught many of us we were more than capable. 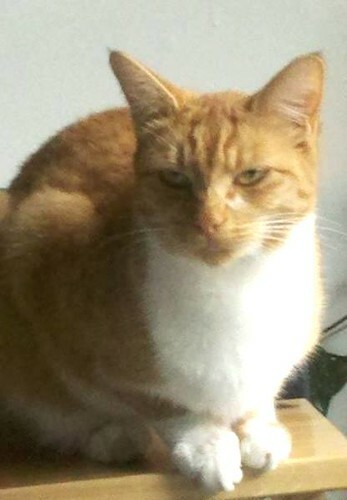 Anyway, Penelope has long believed (and I do too) that there is something spiritually special about Orange kitties. And Stella is no exception. Like most cats of her color, she is aloof and does her own thing. She was known here for taking off for days at a time. I would ask her if she was in her body to which she always replied “yes – but I’m busy!” And would abruptly tune me out without so much as a clue as to her whereabouts. But, just as I would begin to quietly worry, she’d show up as if nothing were wrong at all. Stella and I had an interesting relationship. She was kept indoors as a kitten while her mom was on vacation and I was on kitty duty. She would hold this against me for the next year and a half. I had no idea at the time I was making her so angry. But this past summer, I was finally forgiven and even shown a little tenderness from the long legged, second story jumper. It became no secret that Stella did NOT want to be confined indoors. This past fall, I lost one of my favorite cousins (they are all favorites actually) to cancer. At the time, I was staying with Stella, Easy, and their mom. I went to Alaska to be with family and the night I returned, I was exhausted. I had many messages and comments to pass along to family members from my cousin in spirit. He had things he wanted to say and make sure they knew. One of the reasons this blog has gone quiet for so long is that I’ve been experiencing the ability to speak with those on the other side of the veil. Humans now, not just animals. And my cousin kept me writing, texting, and emailing family for over a week. But the night I returned to my temporary home, it truly hit me my cousin was gone. Yes I can talk with him, but you can’t hug energy. As I turned out the light to try and sleep, I felt an onslaught of emotion. I also felt there in the dark, a quiet long kitty. She carefully walked the space between me and the edge of the bed – turned and walked back. I held out my hand to smooth her soft fur. At first I thought it was Easy. It would be natural for him to and soothe my pain. But no – it was Stella. My “angry friend” was no longer mad at me and instead showed her love for me that I know now had been there all along. I was really touched and shed a tear or two that night. Some for my cousin and some for this sweet healer who was helping me to ground and get back “in my body” and be me again. I’ll never forget her midnight drive-by. But yesterday they all departed. Mom, Easy, and Stella. As our friends moved all the boxes and furniture, I sat one last time with Stella and Easy in the bedroom, calming their nerves over all the noise going on in the rest of the house. It was lovely to spend some last quality hours with them before they left. I know these two cats have a lot to share with the world over the changes that now encompass us all. 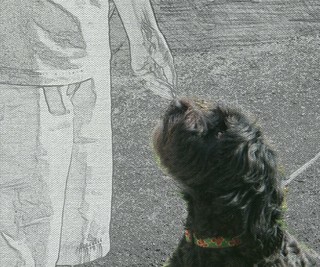 I used to think that Easy was the born healer, a reincarnate of my friend’s cat in spirit – Miss Maddie. 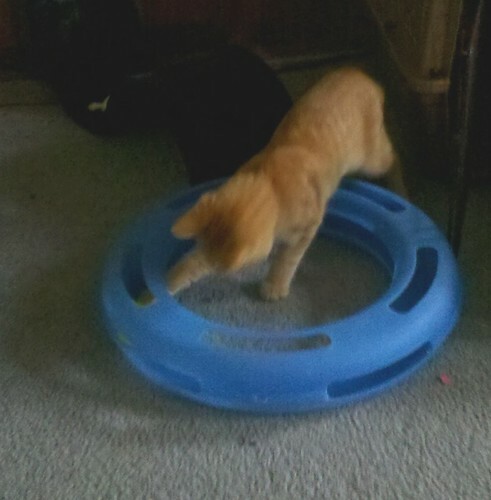 But now I believe that both kitties are special little souls here to help us with our transitions. And I don’t mean to spirit, I mean as we grow and change with where we will individually arrive as the 2012 shift quickly approaches. 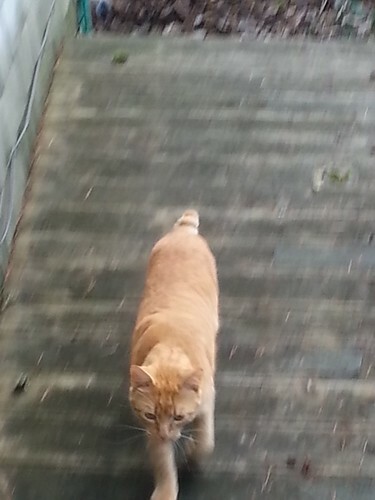 I want to simply say a quick “see ya” to my special kitty friends and not say “good bye”. I know I’ll see them again, but I’ll miss our daily chats that used to be carried on in person. I’ll miss the wild round up of scared “gifts” for their mom, and I’ll especially miss their mom. One of those truly wonderful friends that come into your life every once in awhile. I hope you find what it is you need and want my dear. But I’m not worried. You have two of the best healers with you that anyone could ask for. I think we all would agree that there is nothing more stunning than an eagle in flight. Their wing span alone can be a give away as to their identity. 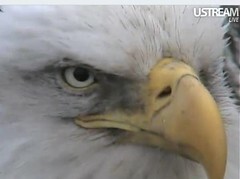 But also that beautiful white head of the adult eagles. For the past two months, I’ve been watching a pair of bald eagles as they raise their clutch of three eaglets. I began watching shortly before the third hatched and have been hooked ever since. Eagles mate for life. The male eagle builds a nest that takes him up to three months to complete. If he doesn’t have a mate, he will try and attract one by impressing her with his nest. If she likes what she sees, the pair will begin a life long journey together of raising young eagles. 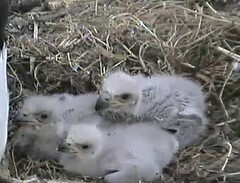 The nest I’ve been watching online is in Decorah Iowa. It weighs over 1000 pounds and is 6 foot across. The tree was chosen right next to a fish hatchery. Very handy when feeding growing young eaglets.The dynamics and love displayed by the adult eagles is not only interesting, it is a good lesson for all human families. One spring morning I was living my life as usual. I had opened my store and walked to the bakery in front of our shop for coffee. And there under the bakery were two kitties. A mama and her 6 week old baby. Someone had cruelly dumped them and they were living on their own. The excited group of locals watching these sweet two convinced me within minutes that I should take them to our kite shop and they should live there. I don’t think I’ve ever made a faster decision in my life. Within 15 minutes I was headed back to my shop with coffee and 2 young kitties. I would find through talking with the mama the trauma she had been through. 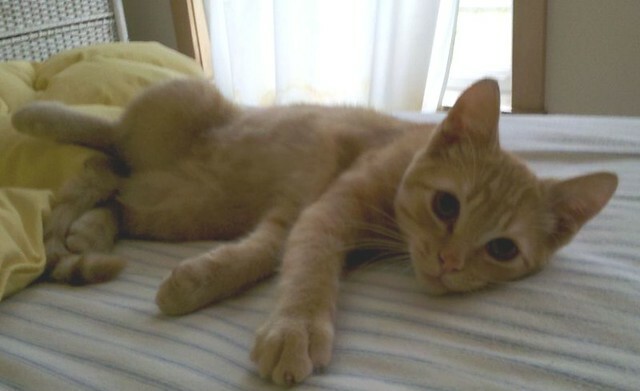 She had been dumped on the busy highway with at least 3 kittens. She was only 6 months old herself and had a huge task at hand. A man, she told me, left her and her family sitting by the busy road that runs along side our town. She decided to try and move her babies, one at a time, from one safe place to another. Once they were hidden, she hunted in order to produce milk to nurse them. Sadly, while trying to move and keep the babies safe, she was outnumbered by predators and lost two of her precious kittens. So by the time she reached town, some 1/2 mile from where she was dumped, she only had one kitten left. And she wasn’t about to let this one go. Moving into our shop was a tough sell. I spent most of the morning with the tiny kitten inside the store, and the mama in the bushes outside. She growled at us, hissed, and was so overwhelmed with PTSD that she was terrified of humans and what we might be doing with her kitten. I finally picked her up and gently but firmly brought her into my office where her baby was waiting. 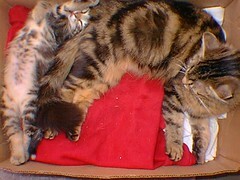 I had set up a box for them to settle into. And FINALLY mama felt safe and relieved. They slept most of that day. Mama would wake occasionally to eat some food I had put out for her. One didn’t need to be an animal communicator to feel her slowly melt into the love and warmth of my office. I had two new kids. 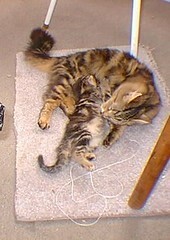 So by the time she reached town, some 1/2 mile from where she was dumped, she only had one kitten left.